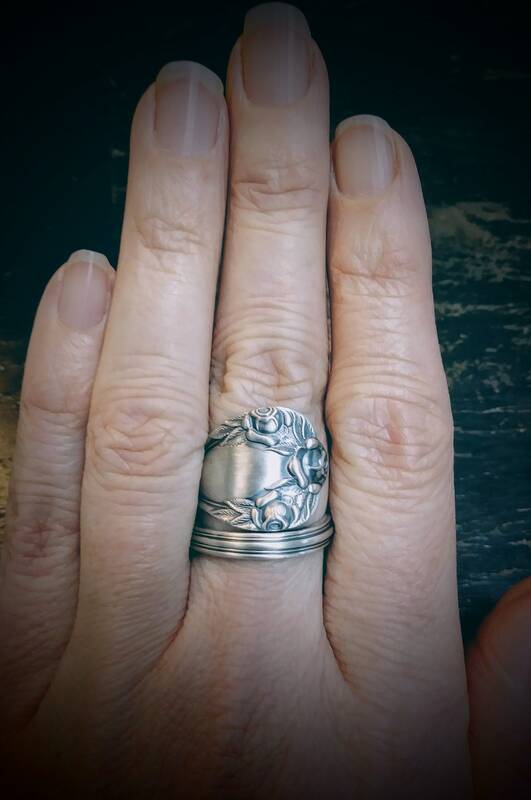 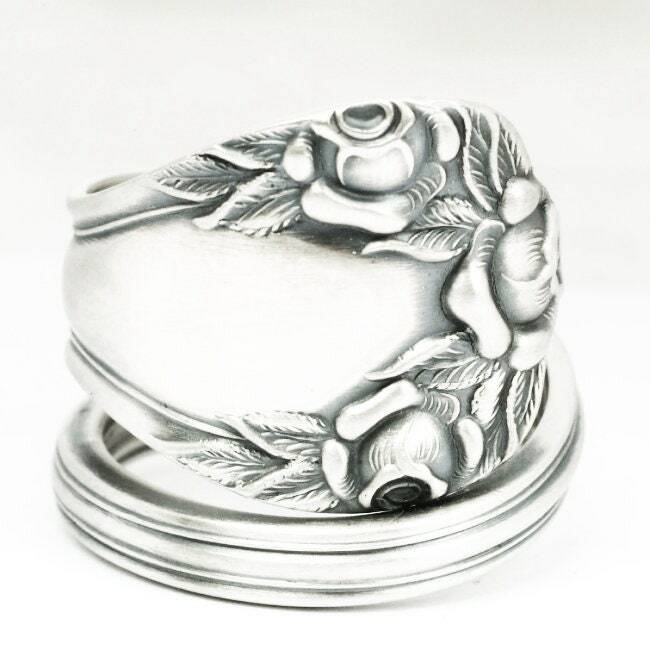 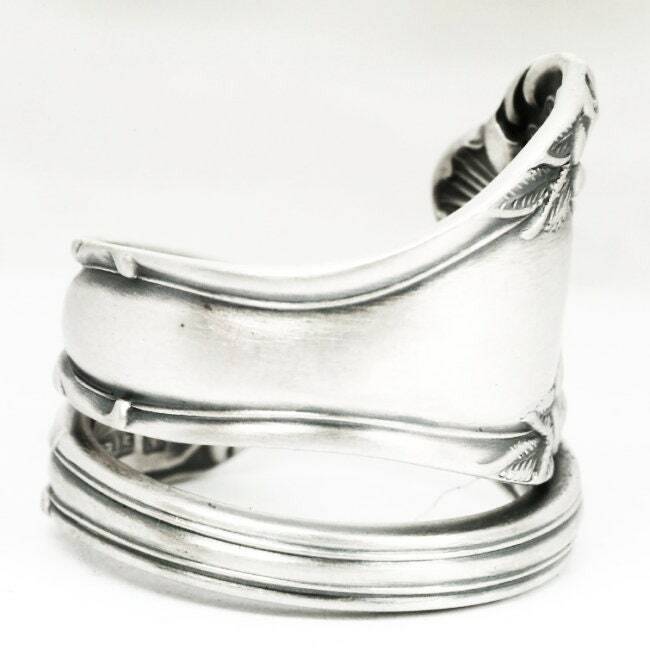 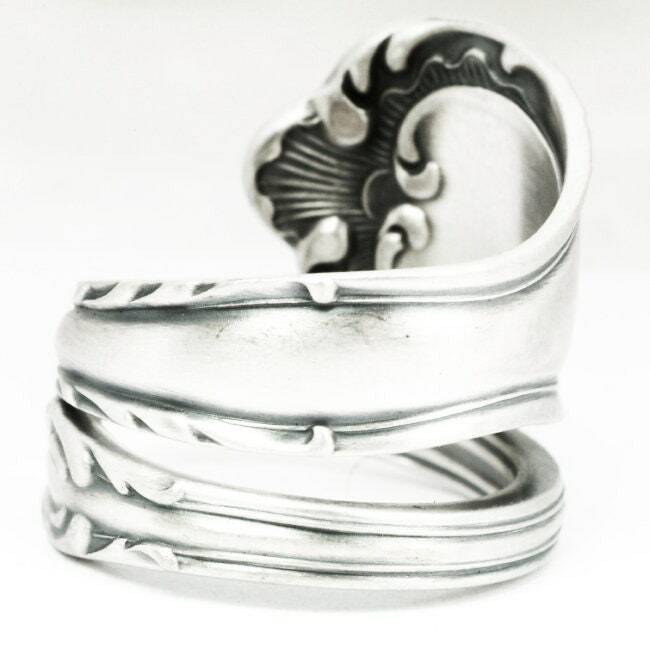 Exclusive rose pattern on this antique sterling silver spoon ring! 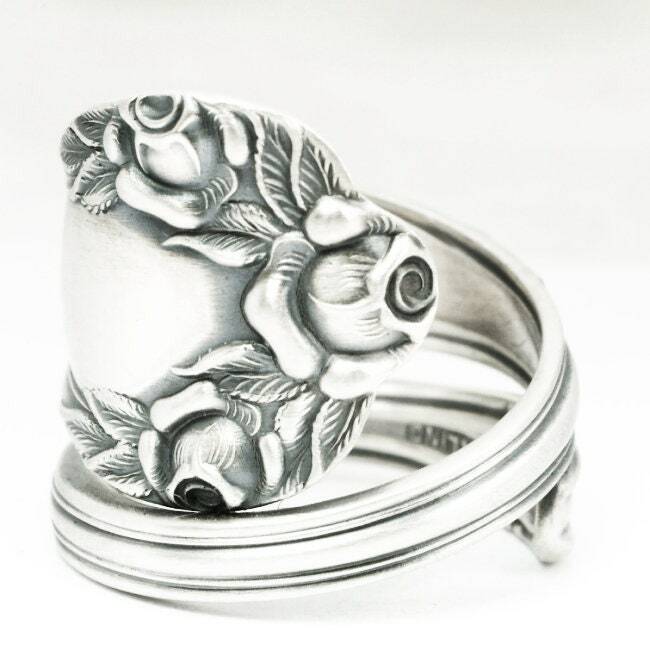 Depicted are 3 high relief blooming rose blossoms, depicted in the popular Victorian fashion of the time. 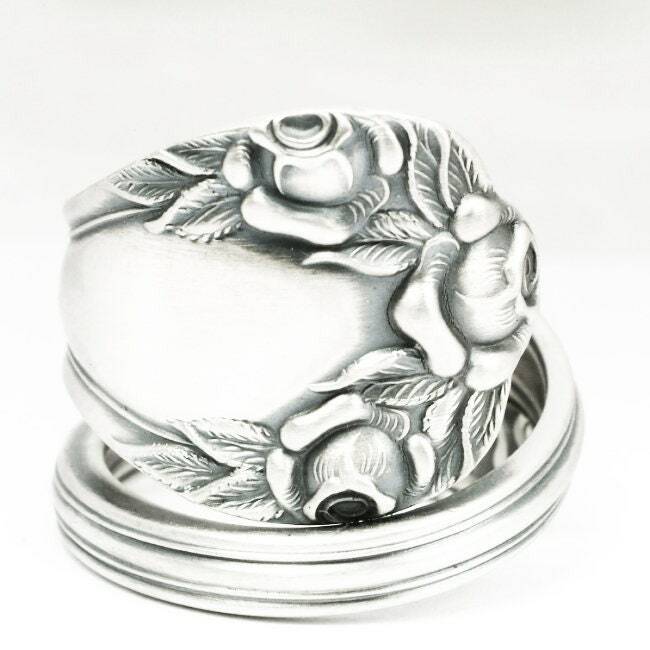 This pattern was originally made by Towle called, "Tudor" made in 1900. 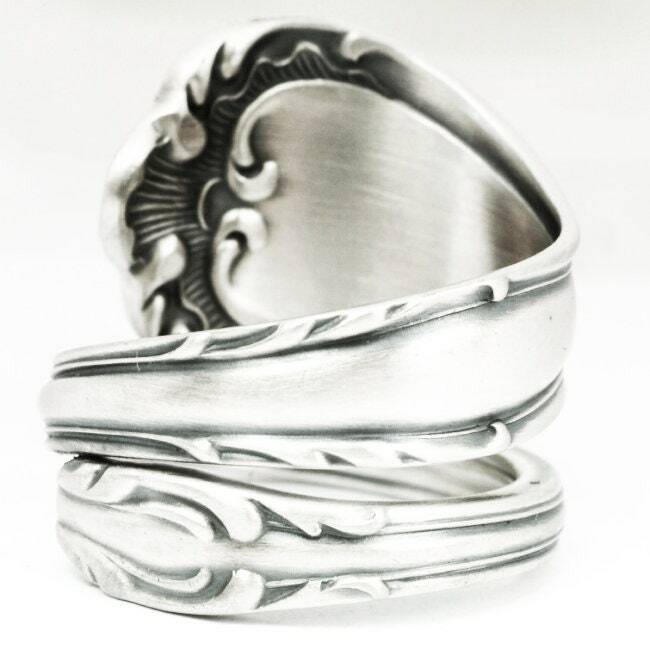 This ring is made from a longer ice tea spoon so it spirals a bit more than our other rings- and we found a set of 6. 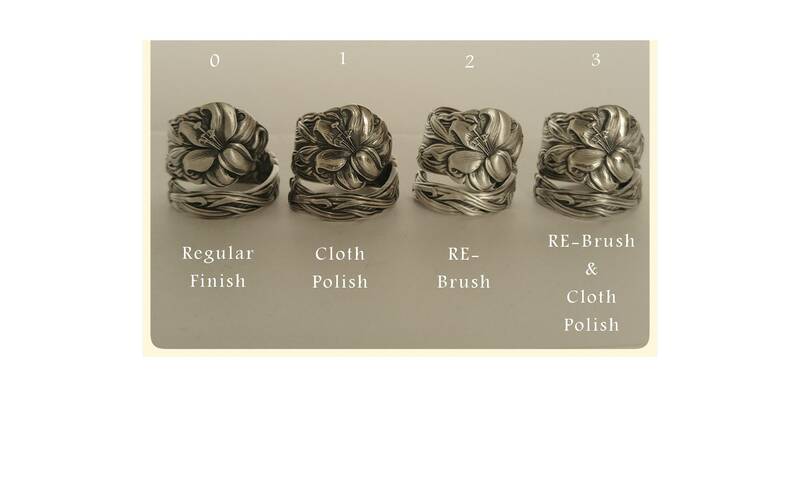 We have never even seen this pattern before and may never see it again after this! 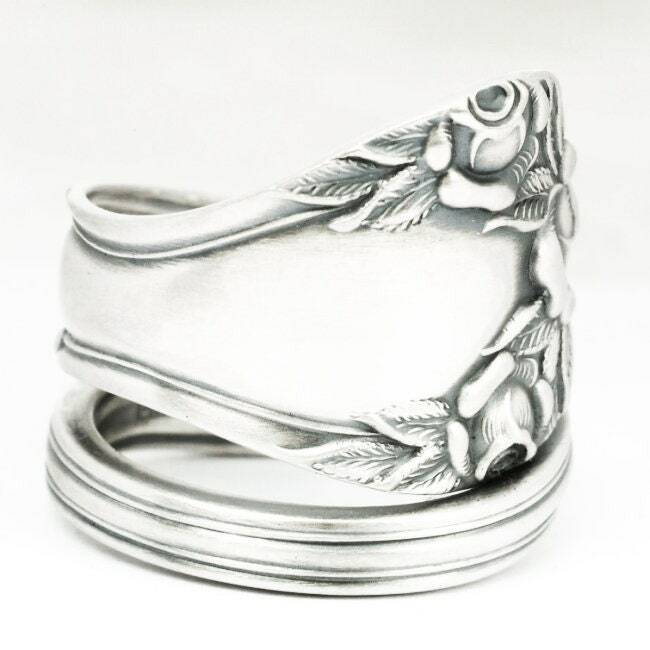 Roses are symbolic of deep love, concentration, intelligence, balance, and passion. 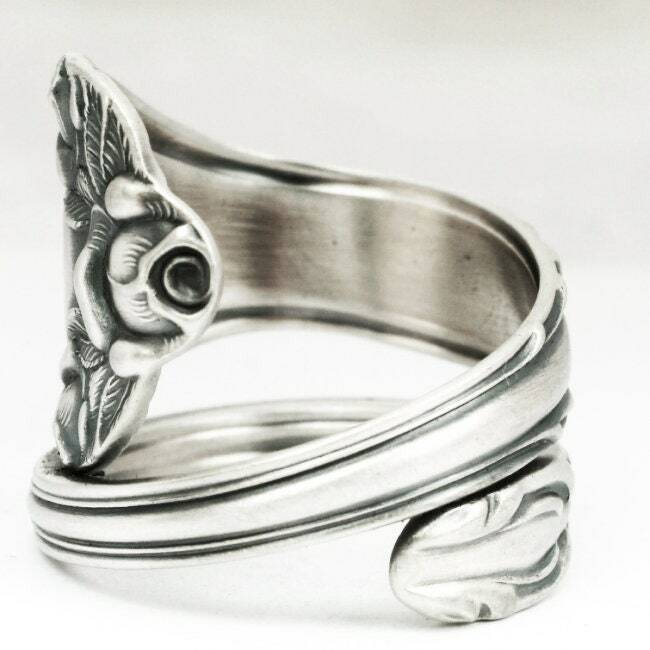 They are also sometimes seen as a message for healing, revitalization, rejuvenation and courage.